Once in awhile, I come across a fragrance that I can't believe I ever lived without. 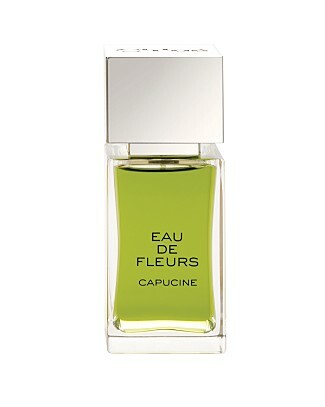 Chloe Eau de Fleurs Capucine is one such fragrance. Notes of bergamot, lemon, neroli, rose essence, galbanum essence, jasmine and muguet combine to create an intriguingly crisp, sensual scent. Every time I wear it, I can't help but get an inner thrill. The bottle is undeniably gorgeous -- a geometric fantasy in an oversized rectangular shape with a gleaming square silver topper. And today I'm giving one lucky winner the chance to receive a bottle of your very own -- valued at $135! To enter, place your name and email address in the box below. The winner will be selected on Saturday, August 21 and notified by email. This giveaway is open to US residents only. Giveaway runs until Friday, August 20 at midnight. One entry per person, email address and IP address. Multiple entries will be disqualified.